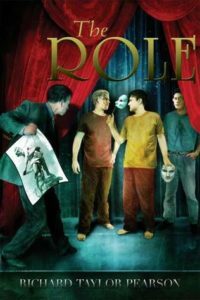 Most people who read this blog know I love theater and so it shouldn’t be surprising that I’d gravitate to a novel set in the world of theater. It only took one email from Richard Pearson to get me on board to read this book, and I’m glad he got it in front of me because I loved it. The story centers on Mason, an actor on the verge of giving up his dream of being a professional actor because he keeps hoping from role to role without any big time success. But his life changes when he bumps into Kevin Caldwell, an old crush from acting school, at an audtion. Kevin helps Mason land a role that could make him the next Broadway star. However, as rehearsals begin, Mason learns that there’s a lot more drama than just what’s on stage. There’s a personal trainer look to reshape his body, an underhanded understudy waiting in the wings to replace him, a persistent (and maybe slightly over the top) director, and Kevin hellbent on breaking up Mason and his boyfriend. Mason has to make a lot of touch choices on his way to Broadway stardom. I loved getting in to the audition and rehearsal process with Mason, which is what the majority of this novel covers. It’s clear that Pearson’s either been through it or has connections that helped him with the research to make this feel right. I love that we get inside Mason’s head as he struggles with his own self doubt, even as he’s growing as an actor. Pearson also takes the time to fully flesh out Kevin, the director Merchant and Mason’s boyfriend Eric, along with some of the other supporting characters. In particular the push and pull of power between Merchant, Kevin and Mason was fascinating (and sometimes difficult) to read. I’ll admit I was furious with some of the characters more than once, but everything that happened made sense in the context of the story–and didn’t seem out of place either. Fans of romance should be aware that this is not a romance. Mason and Eric are together as the book opens. The fact that it’s in the gay romance category on Amazon confused me because I wouldn’t place it there. It doesn’t follow the formula of a romance and readers should know that going in. I wasn’t looking for romance, based on the blurb, so I was more than satisfied. It wasn’t until after I read it that I saw that categorization. I look forward to seeing what comes next from Pearson because I love his writing style and way with characters.